I made this card using a modified version of the paper piecing technique. You can see some various ways to use the paper piecing technique in this post here. On this card, I used the Treats Specialty Designer Series Paper and the T Shirt Builder Framelits Dies. 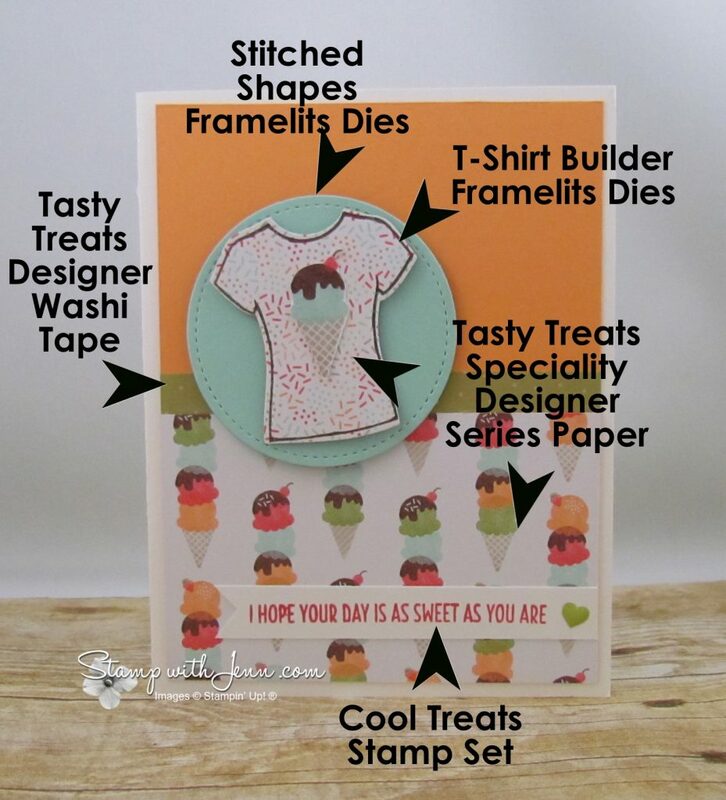 I stamped the T-Shirt from Custom Tee stamp set on a piece of the Tasty Treats Specialty Designer Paper and then cut it out on the Big Shot with the matching T-Shirt Builder Framelits. 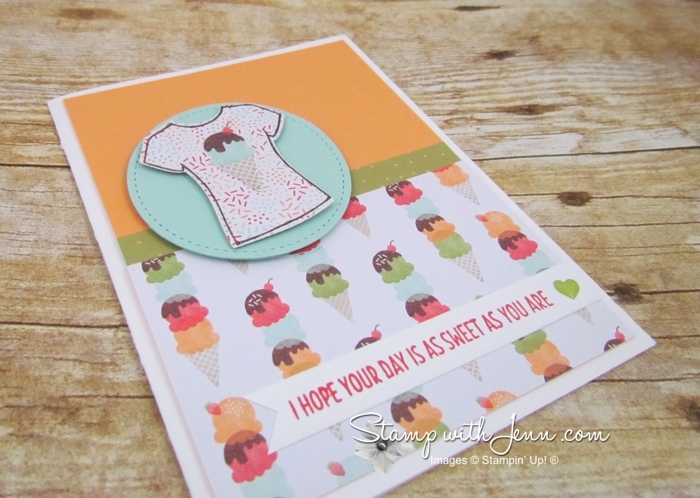 The little icecream cone on the front of the T-Shirt is from the special glossy designer paper in the package of Tasty Treats Specialty Designer Series Paper. I just cut it out with my paper snips scissors. I love how it matches the designer paper on the bottom of the card. The saying on this card is from the Cool Treats stamp set. See the supplies listed on the card below. This would be a perfect card for a birthday card or just to give to a sweet friend. And see the full supplies list, with links to my online store, at the end of this post. You can also see the paper piecing technique on this card.